Whether you’re a do-it-yourself landlord or you manage an ever-growing team of leasing agents, Intellirent's leasing software solutions help you increase your efficiency and profitability. "Representing both tenants and property owners, it's critical that I have a quick application process. Intellirent enables me to thoroughly qualify renters in a fraction of the time spent using other methods. Their marketing tools enable me to stay competitive while significantly reducing vacancy for my clients." "Offering solid marketing and screening tools that benefit our members, Intellirent has served as a great partner to our organization. Their simple account setup and personalized support truly add value to SFAA membership." "I am an avid user of Intellirent and couldn't imagine utilizing any other applicant screening or rental marketing software. Their thorough application process not only provides peace of mind to my clients, but saves them money on reduced vacancy as well. The speed of their application process simply cannot be beat!" Intellirent's suite of software products are powerful on their own, or they can completely revolutionize the way you do business when they're used together. From rental marketing to integrated lease signing, Intellirent offers everything you need to help you meet and exceed your business goals. Everything you need, from rental marketing to integrated lease signing, completely free to help your business grow. Say it loud, say it proud: I have a listing! Automatically market your listing across the most popular listing websites. Make faster, more confident decisions with instant credit, criminal and eviction screening reports. 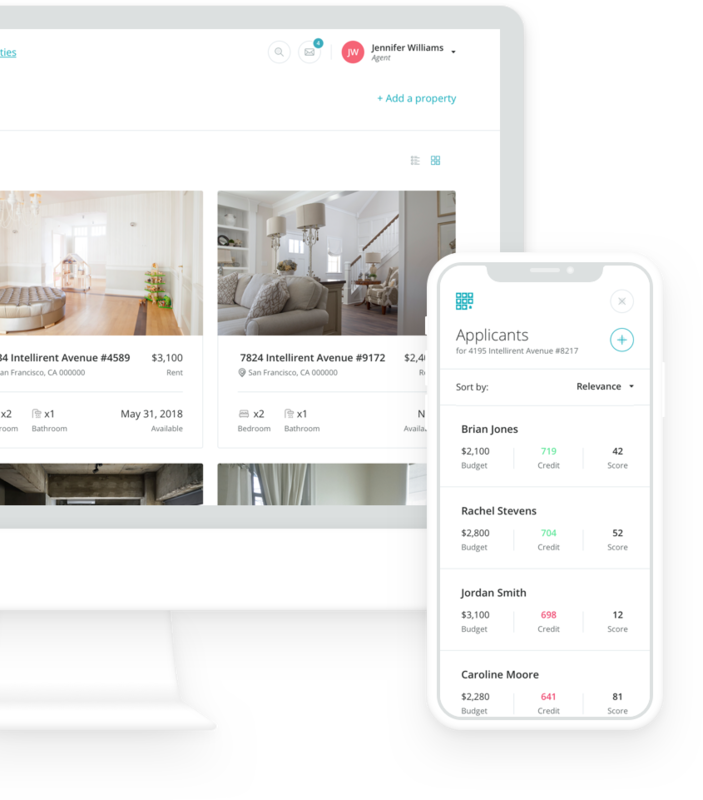 Whether you’re in the office or on-the-go, Intellirent offers a software suite to fuel your growth, find renters, and make smart decisions quickly. Our desktop application offers a simple and intuitive design to meet your specific needs and compliment your existing workflow. Thanks to our mobile friendly solution, you can securely screen applicants from just about anywhere and enjoy faster rentals as a result. Expect no out-of-pocket costs or hidden fees when you use Intellirent. Our software suite is 100% free for you. Your applicants will be charged a $30 base fee that will completely cover your costs.